It’s been revealed that millennials are increasingly becoming interested in sustainability. In fact, 34% of millennials say they’ve been driven to make a fashion purchase just because it was sustainable. If you’re one someone who’s conscious about where their clothing comes from, then why should your lingerie be any different? There are plenty of vegan and sustainable lingerie brands designing beautiful, eco-friendly underwear just for you. Where Are The Materials Sourced? A lingerie brand can’t be truly sustainable if their materials aren’t responsibly sourced. The best lingerie companies use materials from the same country of manufacture, to cut down on fuel emissions transporting the goods. If their materials aren’t gathered from the country of production, then they should be sourced from businesses using Fair Trade practices. Synthetic materials are not just bad for the environment, they also don’t feel great against your skin. 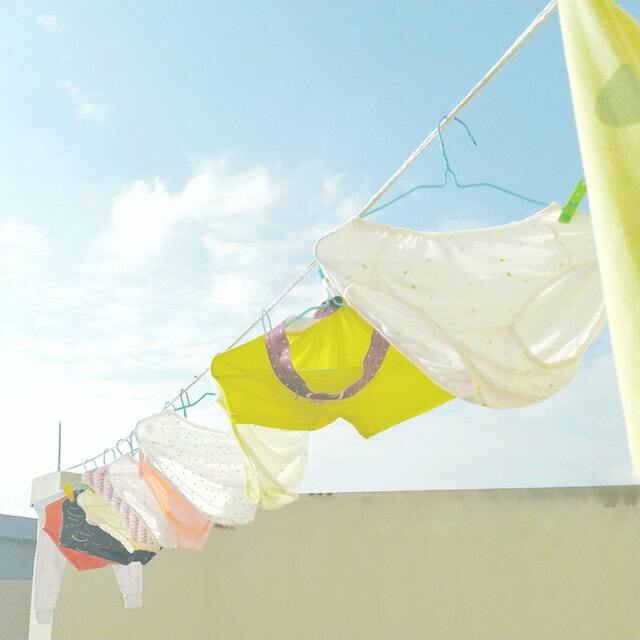 Materials such as Nylon are commonly used to create silky feeling underwear. The material is essentially a plastic derived from crude oil which is then pushed through an extensive chemical process to create stretchy fibres that make it a useful fabric. However, no form of Nylon is biodegradable, and the manufacturing process supports some of the world’s dirtiest industries for pollution. Furthermore, silk is also considered a non-vegan material because it’s produced by the mulberry silkworm. The silkworm makes a staggering 90% of commercial silk as it’s often used to manufacture more high-end, luxury lingerie. However, the process is cruel to silkworms, who are often boiled so that the long strands remain intact. Cotton, on the other hand, is a soft natural material that can be used to make beautiful lingerie. If a brand uses GOTS Certified Organic Cotton, then they’re supporting cotton that is picked by environmentally and socially responsible growers. This means it has to pass strict criteria in order to be deemed 100% organic. Is the lingerie produced in an ethical factory? AmaElla are a great example of a sustainable lingerie brand. They produce in ethical factories, one in the UK and one in Portugal. They also employ women in the area to help conserve the textile heritage of the community. Lola & August are another brand who focus on good working conditions for their employees. Their organic cotton is purchased from a family business in Texas who produces locally or through Fair Trade partners in India. Are They Backed By An Association? GOTS Certification – The Global Organic Textile Standard is the worldwide leading textile processing standard for organic fibres. The aim of the standard is to ensure there’s a recognised requirement that a business needs to meet in order to advertise themselves as GOTS Certified. This includes every step of the supply chain from harvesting the raw materials through to environmentally and socially responsible manufacturing. Fair Trade – Fair Trade is all about ensuring decent working conditions, better prices and local sustainability. It requires companies to agree to fair terms of trade for farmers and workers in the developing world. Having a Fair Trade accreditation is increasingly important as it shows consumers that the brand is committed to improving their workers’ lives. Oeko-Tex Certified – Oeko-Tex offer companies in the textile industry several certifications with the opportunity for them to have their products tested for harmful substances by independent institutes. This inspires confidence in the consumer who wants to know that their clothing is fully sustainable and toxin free.